A thoroughly enjoyable affair to the ears. Outside of Progressive circles, Erik Norlander is probably best known for his work with Rocket Scientists and as the partner of Rock chanteuse Lana Lane. His first solo album was released in 1997 and it has been seven years since 'The Galactic Collective' which was, if I remember well, a re-recording of previous works. He is also currently touring as keyboardist with Last In Line. 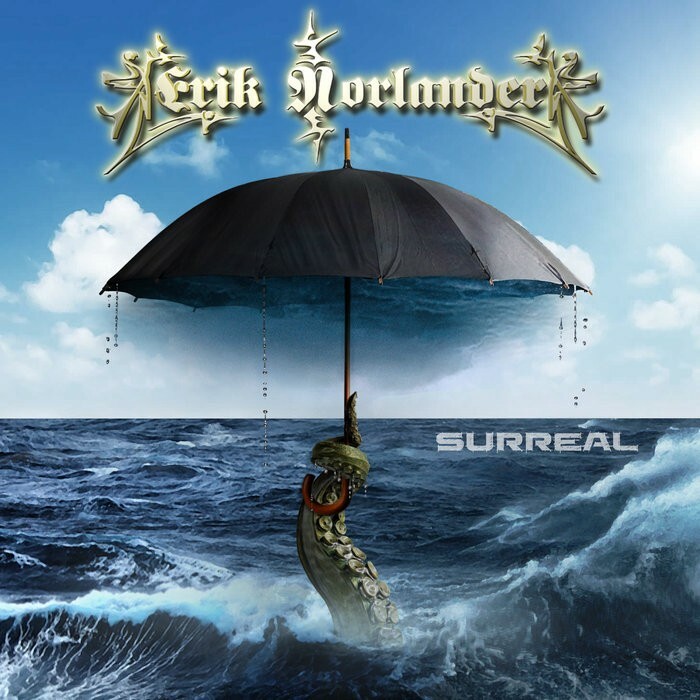 As with previous recordings, Norlander has gathered together an impressive line-up of LA's finest musicians including Mark Matthews, Nick LePar, Greg Ellis, Alastair Greene, Lane (vocal on one track), Jeff Kollman, Mark McCrite and Don Schiff. With six tracks on the album (plus a freebie you can download from his site), it's old-school Prog in terms of times. Three of the tracks run at over ten minutes, with the remainder running at over seven minutes; it's not an album you can skip lightly through. Curious song titles, such as 'Suitcase & Umbrella', are notable here. 'Surreal' sonically pays homage to the seventies with Norlander's signature keyboards, including nice doses of Hammond Organ and that classic piano sound, spreading nicely across the album. The album is full of keyboard and guitar melodies, with heavy orchestration surrounding them, creating, basically, six individual Prog classics. The title track is the one with Lane's vocals. This commences as a ballad, but builds as the track moves on and uses more of Lana's vocal range with an impressive instrumental mid-section, before descending back to ballad. The final track 'El Gran Final' would, honestly, not sound out of place on an Emerson Lake & Palmer album. The musicianship throughout this album is top rate and the compositions likewise. A thoroughly enjoyable affair to the ears.